Afternoon Tea Week 2018 runs from 13th – 19th August 2018. A celebration of a truly British dining experience, afternoon tea is a tradition that dates back to the Victorian era and was introduced by the Seventh Duchess of Bedford in 1840. 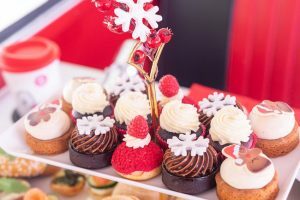 Renowned for dining fashionably late, the evening meal in her household was served at 8pm, leaving her tummy rumbling in the late afternoon – the perfect time for a few dainty sandwiches and some sweet treats. 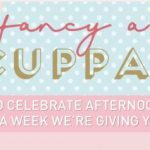 To celebrate Afternoon Tea Week our partners at Buy a Gift are offering a rather tasty 20% discount on all their afternoon teas. Have a delicious drool at their tasty tea menus, choose your venue and buy your afternoon tea voucher on-line. Enter discount code: TEAWEEK at check-out. This delicious discount is available until 19th August. However, your voucher is valid for 10 months so you can take advantage of the discount now but use it at a later date that suits you. 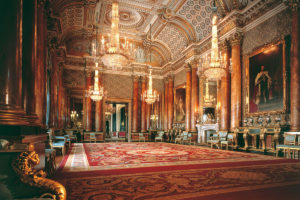 Buy a gift have over 250 traditional, champagne, luxury and quirky afternoon tea experiences. Available across the UK, here are some quick links to help you browse. Traditional Afternoon Tea . . . 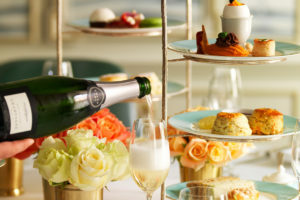 Champagne Afternoon Tea . . . Luxury Afternoon Tea . . . Quirky Afternoon Tea . . . Afternoon Tea London . . . Afternoon Tea South East England . . . Afternoon Tea South West England . . . Afternoon Tea Midlands . . . Afternoon Tea North of England . . . Afternoon Tea Scotland . . . Afternoon Tea Week Discount Code: TEAWEEK (enter at check-out). Girls Afternoon Tea has a fantastic variety of afternoon teas, spa days and great days out to be explored across the UK. Take a moment to browse our website for superb inspiration.